What can we do, as the Catholic Laity of the Church, to encourage more vocations: to the Diaconate, to the Consecrated and Religious Life, and especially to the Priesthood? Pray to the Holy Spirit for good Catholic men, young and older, to choose the Priesthood as a vocation. Pray to the Holy Spirit for good Catholic men, young and older, who consider the priesthood as their vocation, that they pursue their vocation. Pray to the Holy Spirit for those good Catholic men who have made the choice and are now in Seminaries, that they continue with faithfulness to aspire fully to become Priests. Pray to the Holy Spirit for more Diocesan Priests, since these are the Priests who pastor to our parishes and are the most needed. Pray to the Holy Spirit for good Catholic men, young and older, who want to dedicate their life to Christ as a Deacon and not as a Priest, that they too pursue their vocation with zeal. Pray to the Holy Spirit for good Catholic women, young and older, to choose the consecrated and religious life, dedicating their life to God. Share friendships with Priests and Religious to foster Awareness, Communication and Respect. Please say "Thank You" to our Priests, Religious and Deacons. 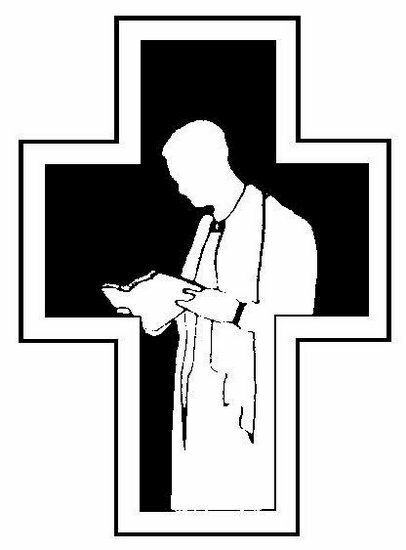 Extend an invitation to a young person(who you think might have a Priestly, diaconate or Religious vocation) by asking him or her to explore a vocation to the Priesthood, Diaconate or Religious life.Your invitation could make a difference in someone`s life. Utilize the Sacrament of Reconciliation. Embrace the Holy Eucharist while attending Mass often. Pray for vocations during the Adoration of the Blessed Sacrament. Pray the Daily Prayers for Priestly Vocations, as written by Father Gray Bean. (Click on the link in the upper-right corner on this page for the Daily Prayers for Priestly Vocations). Pray the Rosary for vocations. Serve in parish ministry, as Jesus directs us in the Gospels to a life of service -- sharing our gifts and talents in the parish, to nurture Priestly and Religious vocations. Participate in parish functions, benefitting not only our own spiritual growth but also setting an example to others. in the Gospels Jesus directs us to a life of service. Share your gifts and talents in the parish to nurture religious and priestly vocations. the parish is a focal point in our life, and should be for others. A strong parish family produces Priestly, diaconate and Religious vocations. Catholic: Love your Faith. Live your Faith. Be a Model. Remember...Without a Priest, there would be no Celebration of the Eucharist, No Sacrament of Reconciliation, No Sacrament of Holy Orders.